When a movie becomes the most successful animated movie of all time, you can’t help but feel like you should be paying attention. I’d managed to miss Frozen for the longest time and it lacked any real appeal but with enough people recommending it, I had to give it a go. For the most part, it actually lived up to the hype. It begins very strongly, with a great introduction, two great central characters and a very cool over-arching story. It’s not necessarily about a damsel in distress who needs “rescuing” (not in the traditional sense anyway) and with that opening it had me hooked. It also helps that it has some of the best songs I have seen in any animated movie for ages. I knew of some of them just from popular culture, picking up on lyrics and tunes through YouTube videos and other formats and it isn’t difficult to see why. “Do you want to build a snowman?” and “Let it Go” are brilliant, catchy and realised on-screen in a fantastic, almost classic Disney way. 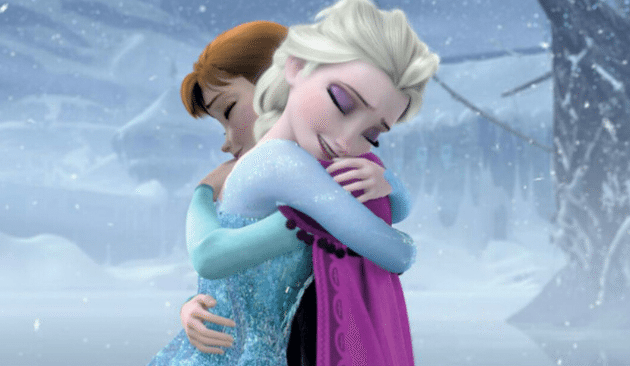 It continues through the movie, with snowman Olaf getting his own, hilarious song which is tragic as well as comedic and when the two sisters finally do meet after their forced separation, their duet is a rousing, very emotional moment that uses song fantastically. 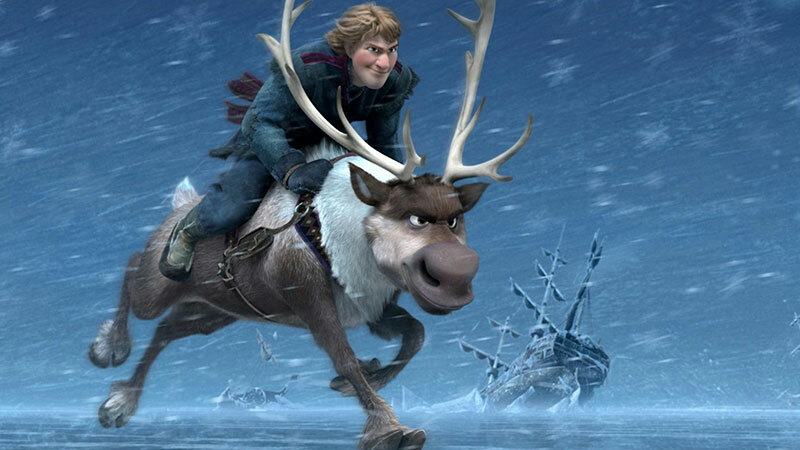 Talking of Olaf, he is a revelation to the movie. He manages to become a comedy character rather than an annoying one. I’d been sceptical from the promotional material and thought he’d be another poor attempt by Disney to force humour into their movie with a comedy character but he has the best lines, some great moments and adds some needed injection to the movie. Something is needed when Olaf enters too. 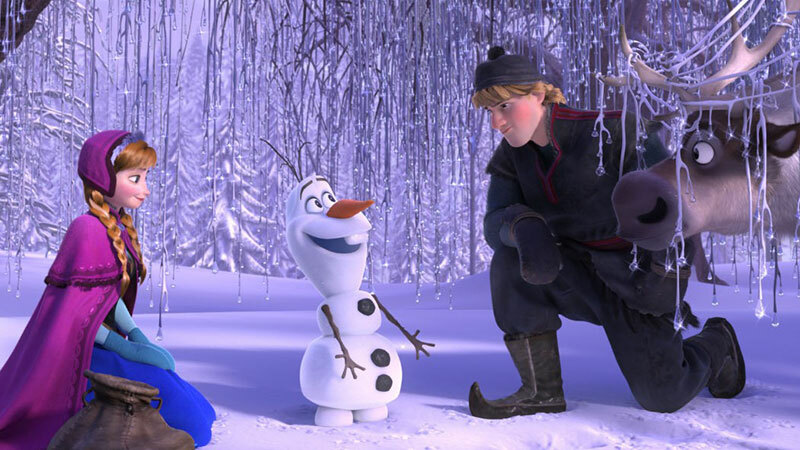 Take Frozen’s story as it is, there isn’t actually much to it. After the winter-powered Elsa goes into self-inflicted isolation and is then found, the movie flounders, not really having any sort of decent, logical direction. It almost lacks a middle act, introducing loads of characters at the beginning and them forcing them into a final act confrontation with a rushed middle to get them there. The finale seems to lack the punch and threat that Disney have delivered fantastically before. Compare the end of Frozen with Lion King or Aladdin and it pales in significance. Considering one of the characters controls the weather, you’d hope for a eye-blistering finale with some great visuals but you get a snowstorm and a frozen lake instead. Overall, with the great, catchy tunes and two brilliantly realised central characters, it isn’t hard to see why Frozen is such a success. The opening is exciting, quick-paced and very original. Unfortunately, aside from the great inclusion of Olaf the snowman, it struggles with its middle act and then doesn’t build to any sort of satisfactory conclusion compared to the cool moments that begin the movie. The songs are catchy and addicting, but the story is also smart and well-written. Showing all girls that they don’t need a man to make themselves happy; all they have to do is rely on their own good nature and heart. Good review. Great review here! I would completely agree with the rating you gave it. The songs and characters are great! Especially Olaf, like you mentioned. The movie definitely lacks a bit in the end, but overall, I thoroughly enjoyed it. Next Next post: Views from the Sofa 2015: The Resolutions!